We are locally owned and operated with friendly and helpful technicians. Dennis A. Grillo established Grillo Electric, Inc in 2002, an electrical service company that continues to provide superior service to both residential and commercial properties within the surrounding towns and throughout Massachusetts, including Cape Cod and the islands. Dennis and his team enjoy and strive to maintain a stellar reputation based on their top notch integrity, dependability, fairness and quality of work. We have a variety of experience from new construction homes to homes that are being remodeled. Having wired such a multitude of these types of homes from kitchen remodels, bathroom remodels, residential additions and brand new homes certainly gives us an advantage over our competitors in the field. Having this experience allows us the ability to provide you with expert consulting as we guide you through lighting design to complete your job in a prompt and timely manner. From electrical inspections, electrical panel upgrades, indoor/outdoor lighting, generators, surge protectors general electrical needs, call upon us. Our clean, neat and friendly service experts are the top experts in the field and are ready to answer any electrical questions you have. 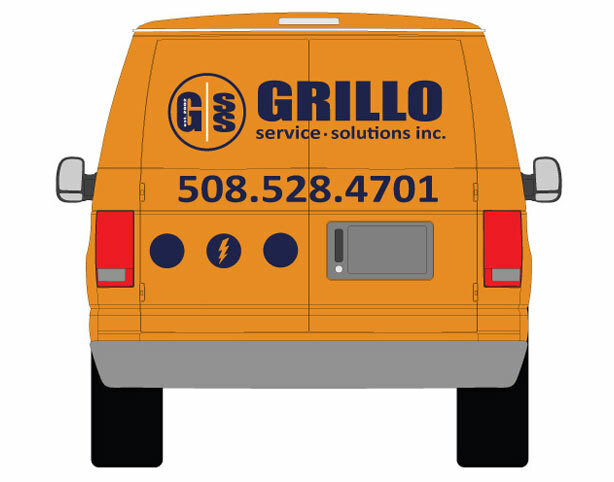 With experience in electrical service since 2002, we are confident you will be completely satisfied having chosen Grillo Service Solutions, Inc.
We thank you and appreciate your business! Do you need help with electrical repair & maintenance? Contact us - our technicians are ready to help you with your electrical repairs.